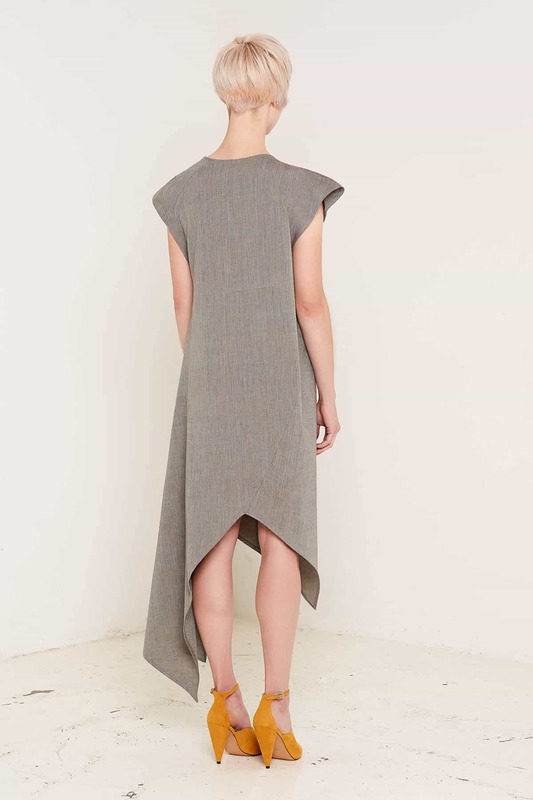 The gorgeous asymmetric hem and flared cap sleeves of this dress create a striking, contemporary silhouette. The smooth crossweave fabric is yarn dyed before weaving, resulting in a material rich in colour and texture. It is finished with a delicately shaped asymmetric neckline and subtle seam detail across the shoulder. The Heather dress is available in two colours: a luscious, autumnal burgundy and a more neutral lichen that brings out the rich, detailed texture of the crossweave fabric.